The Food Studies Minor is pleased to announce the establishment of the Marcie Rothman Centennial Scholars Undergraduate Scholarship available for students pursuing the minor in Food Studies. The Marcie Rothman Centennial Scholars Undergraduate Scholarship was established to support students in the Food Studies minor with their academic interests and endeavors at UCLA. This scholarship is awarded annually to Food Studies minors and aims to support the expansion of food in the world as an area of interdisciplinary study, including research and practice as it relates to culture, public health, nutrition, sustainability, the environment, food activism, and justice. Rothman received her Bachelor of Arts in Political Science from UCLA and later completed the Executive Program at the UCLA Anderson Graduate School of Management. She has extensive experience on the boards of non-profit organizations and is extremely excited to help foster the academic advancement of the field by supporting Food Studies minors in their studies. With this generous gift to UCLA’s Food Studies program, students are able to share Rothman’s passion for food, and dedicate themselves to understanding and improving its production, preparation, sharing, access, consumption, and disposal. In order to be considered for the Marcie Rothman Centennial Scholars Undergraduate Scholarship, a recipient must be a Food Studies minor student who demonstrates passion and academic achievement in the field of food studies and/or financial need. Applications will be reviewed by a faculty committee. Be admitted to the UCLA Food Studies minor. Note to non-Food Studies Minors: Students who are not yet admitted to the minor may submit their application to the minor at the same time as their application for the scholarship—but their scholarship application will only be reviewed AFTER admission to the minor is confirmed. Applications are accepted every Fall quarter. Applicants will be required to submit an application form, statement and résumé for review. Additional information regarding the application process will become available closer to the next application period (2019-2020 academic year). If you have questions, please contact Shahla Rahimzadeh, Academic Counselor for the Food Studies Minor. Thanks to the generosity of Ms. Marcie Rothman, the Food Studies Minor is pleased and excited to announce the recipients of the 2018-2019 Marcie Rothman Centennial Scholars Undergraduate Scholarship. This year’s scholarship has been awarded to two students— Saraí Ramos Gonzalez, who received a $4,000 award, and Hannah Valenzuela, who received a $2,500 award. 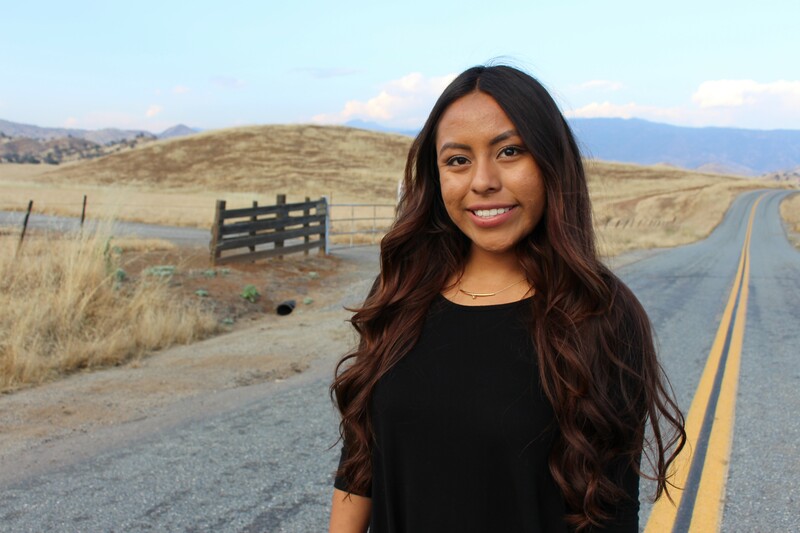 Saraí Ramos is a Mixtec mujer who is finishing up her last year at UCLA as a Chicanx Studies major and a triple minor in Education Studies, Labor and Workplace Studies, and Food Studies. Saraí has devoted her time to community-oriented work. One of the projects she had devoted a lot of her time to is Yolotxonyo, housed under MEChA de UCLA. This project’s goal is to empower high-potential youth in the greater Los Angeles area. Through her involvement in Yolotzonyo, she has been able to unpack the injustices students from underserved communities face in terms of food insecurity and food inaccessibility. Sarai is working on developing the curriculum for this project and extend her work into the community. Throughout her time at UCLA, Saraí has remained connected to her Oaxacan community and is currently collaborating on a research project that will create a platform for Mixtec womxn in the Central Valley to speak out on their experiences as womxn field laborers. In the future, she hopes to continue this community work in the Food Studies field with an emphasis on food justice. 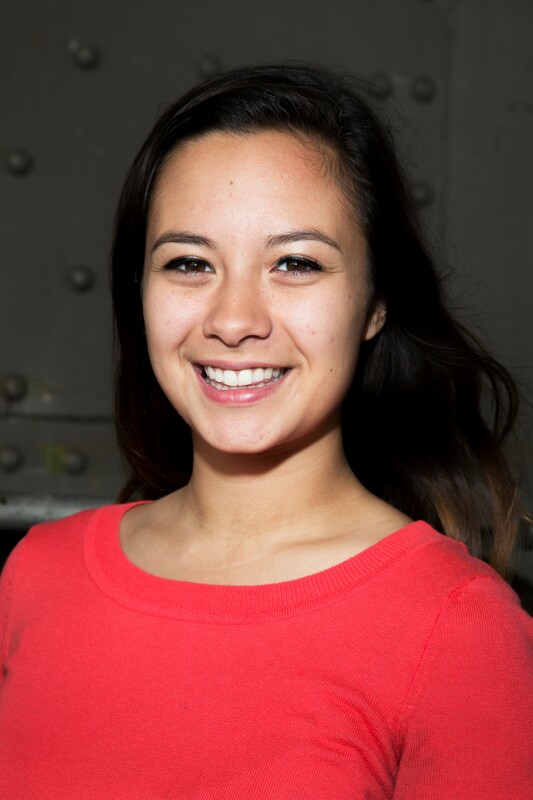 Hannah Valenzuela is a graduating senior pursuing a Bachelor of Arts in Gender Studies and a minor in Food Studies. Hannah did not choose Food Studies—rather, Food Studies chose Hannah. After struggling with life-threatening cases of eating disorders and food insecurity as a NCAA cross country and track athlete during her first two years at UCLA, Hannah redefined her life’s purpose: bringing awareness of eating disorders and food insecurity across college campuses. Most recently, Hannah spent some time working closely with the UCLA Athletics Department and their Performance Nutrition Department to focus on prevention of food insecurity, eating disorders, and other food-related issues within the student-athlete community. Hannah is confident that the UCLA Performance Nutrition Department is now stronger than ever and is using her role as a current Global Food Initiative Fellow to expand her work by increasing awareness of mental health, eating disorders, and food insecurity across campus and the greater UCLA community. Hannah’s primary focus for the 2018-2019 academic year is to combat food insecurity campus-wide, while preventing food waste. Utilizing her knowledge gained from the Food Studies Minor, her personal experiences, and through research, Hannah plans to continue her work upon graduation by traveling nationwide to college campuses to speak about her experiences with food insecurity and eating disorders. In addition, Hannah aspires to become a published author and continue to encourage and be of support to others by affirming that there is no shame in one’s personal struggles. Chiara Phillips is a Seni­or who is completing her Bachelor of Arts in Geography/Environmental Studies and double minoring in Food Studies and Geospatial Information Systems and Technologies. Her interests and experiences include the intersection of environmental science, food activism and equity, as well as social justice and the arts. In the beginning of her undergraduate career, Chiara became inspired by the work she completed at Kindred Spirits Care Farms, where she learned firsthand from local residents about the impacts of living with limited access to fresh, healthier foods. Currently, Chiara is the Food Equity/Access Assistant at Food Forward where she co-manages a free farmers market in Watts bi-weekly redistributing recovered produce that would normally go to waste from the Downtown L.A. Wholesale Market. This work has directly informed her capstone project and career goals by working to build aeroponics systems and farms to mitigate healthy food shortages in underserved urban communities.